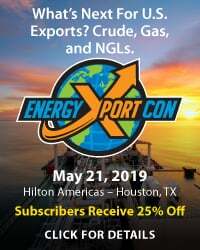 The start-up of Sabine Pass, the first liquefied natural gas (LNG) export terminal in the Lower 48, is only months away, and the complicated gas-delivery logistics behind the project are coming into focus. Surely one of the biggest challenges has been assembling the long-haul pipeline capacity needed to move several billion cubic feet of gas a day (Bcf/d) to Sabine Pass from deliberately diverse sources as far away as the Marcellus/Utica. After all, the nation’s pipeline network was initially designed to move gas from the Gulf Coast to the Northeast and Midwest, not vice versa. Today, we continue our look at the challenges of securing and moving huge volumes of gas to LNG export terminals, the emerging epicenters of U.S. gas demand. 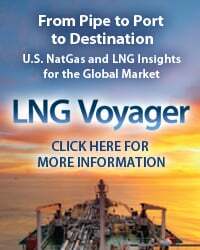 There’s obviously a lot involved in pulling together Cheniere Energy’s Sabine Pass LNG export project in Cameron Parish, LA, which when it begins commercial operation in early 2016 will be the first new LNG export facility in the U.S. since a much smaller project came online in Kenai, AK 46 years ago. For one thing, there’s the matter of planning, designing and building what will now likely be a total of six liquefaction trains at Sabine Pass, each of which will have the capacity to supercool up to 650 MMcf/d of natural gas into LNG for loading and shipment overseas. Then there’s the need to line up LNG traders and consumers interested in committing to the vast majority of each train’s liquefaction capacity (without those Sales and Purchase Agreements, or SPAs, the project could not have been financed), as well as the necessity of lining up pipeline capacity to move gas hundreds of miles to Louisiana and—equally important—the last few miles to Sabine Pass LNG itself. Finally, there’s the gas supply itself. In our First Episode, we explained that Cheniere is actually developing 11 liquefaction trains: six at Sabine Pass that will come online one-by-one over the next few years, and five trains at a Corpus Christi site (the first two of which are now under construction). 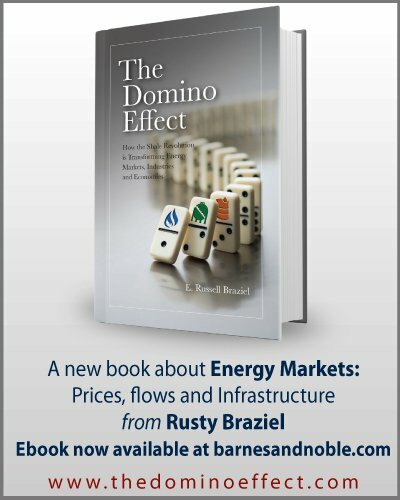 Taken together, the 11 trains by 2020 or so would (if running at full capacity) consume more than 7 Bcf/d, or about one-tenth of current U.S. natural gas production. 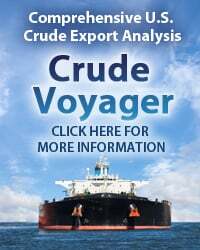 Last time we noted that the services Cheniere will be providing under the SPAs include procuring the natural gas, liquefying it and loading it on LNG vessels. We also described the four pipelines that will move the Sabine Pass-bound gas the last few miles to the terminal: Cheniere’s own Creole Trail Pipeline (recently made bi-directional), Kinder Morgan’s (already bi-directional) Natural Gas Pipeline (NGPL), Williams’s planned Gulf Trace project (which will make its Transco main line and Southwest Louisiana Lateral pipeline bi-directional), and Kinder Morgan’s Louisiana Pipeline. This time we look at Cheniere’s plan for moving large volumes of gas long-distance from the Marcellus and other production areas to the four Sabine Pass-area pipelines we just mentioned. 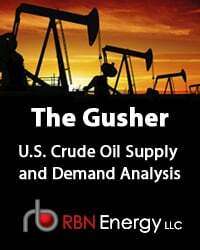 What is going on in today’s markets for natural gas, NGLs and crude oil, why it is happening, and what is likely to happen next? 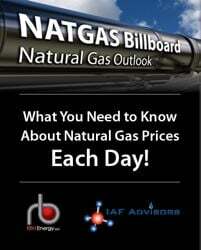 More information about State of the Energy Markets here! 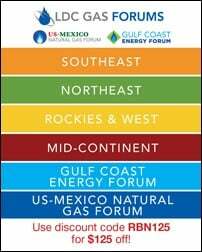 To access the remainder of Begin the Sabine—Natural Gas Supply and Long-Haul Deliveries to the New LNG Terminal you must be logged as a RBN Backstage Pass™ subscriber.